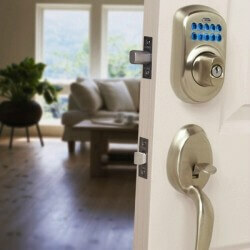 Today a growing number of homes and businesses in the area utilize innovative high-tech locks. These keyless entry lock systems typically require the digital input of a code to open a locked door or gate. If you’ve contemplated using one of these advanced smart locks, ask Pflugerville Locksmith Pros to perform the installation for you! 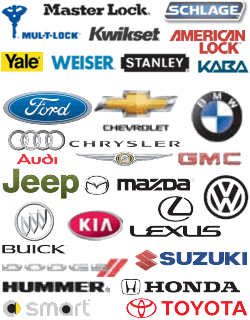 We can also troubleshoot malfunctioning digital locks and keyless entry hardware and correct many types of problems. We provided a complete range of lock service. We help both commercial and residential customers throughout the Pflugerville, Texas area. We also offer a quick emergency locksmith service available on an around-the-clock basis. People seeking locksmith services sometimes require assistance installing hardware for new keyless entry systems. Also known as “smart” locks or “digital locks”, these high-tech systems typically require a keypad or mobile device for inputting an entry code. They may also furnish a backup conventional key and lock. A keyless entry system often works well in conjunction with commercial security systems or access control systems. Many businesses in the past utilized these types of innovative locks to secure entrances to private storage facilities or restricted parking areas. Property owners can issue unique codes to permit a house guest to open the lock on demand. Some systems will notify the owner when visitors enter or leave the premises. An owner can easily discontinue one access code or issue unique codes to different people. While keyless entry locks offer many advantages, they won’t enhance security without correct installation. These convenient systems also prove challenging in some situations if a property owner becomes accidentally locked out of the home without access to a personal cell phone or other Internet-connected devices. Depend upon the skilled team of expert locksmiths at Pflugerville Locksmith Pros to assist you in correctly installing a keyless entry system in a gate or residence. We’ll help you troubleshoot any problems you encounter with an existing smart lock. Our full-service locksmithing company helps property owners who have become accidentally locked out of automobiles, offices or homes. If you’ve considered upgrading your residential locks to include new digital locks, call us for fast, reliable expert locksmithing assistance. Do you require the services of a capable local locksmith? Contact Pflugerville Locksmith Pros today! Keyless Entry Locks https://pflugerville-locksmith.co/lock-services/keyless-entry-locks/ 3.9/5 based upon 38 reviews.